Last week, we featured a non-traditional Democrat and political newcomer, retired Col. Richard Bew, to our readers interested in the April special election primaries for the 3rd Congressional District seat left vacant by the death of Rep. Walter Jones in February. This week we’ve chosen another non-traditional candidate, this time a Republican, Dr. Kevin Baiko, a Moyock resident. 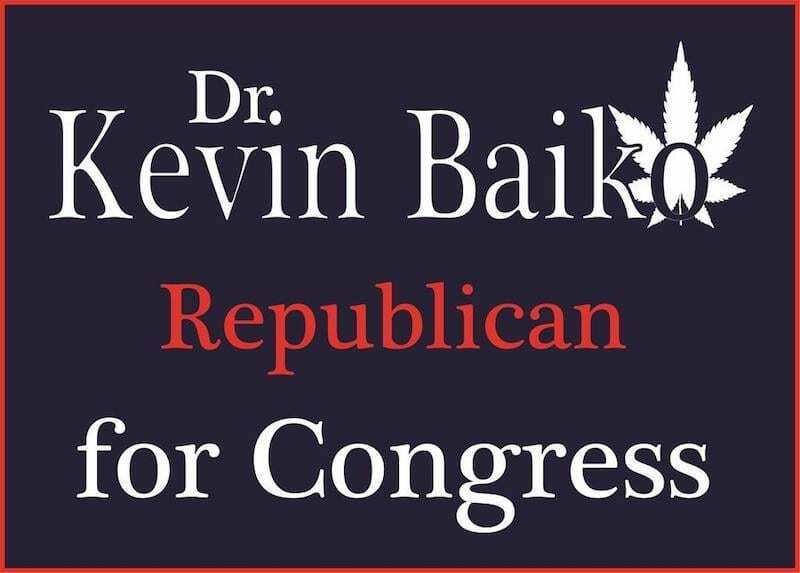 Dr. Kevin Baiko differs from the other 16 Republican hopefuls in the crowded GOP primary by adding a push for legalization of medical cannabis to his list of priority issues. Let’s begin with the obvious question, Why are you running? I’m not a seasoned politician with talking points at the ready. I acknowledge my inexperience with many issues. Because I want to represent Eastern Carolina, I will strive to listen to and learn from my constituents, not just react or ignore. That said, if you put all the Republicans on a progressive to conservative axis, even some of the Democrats, we’re all conservative. We all have a similar approach to putting America as our priority, wanting to maximize free marking forces and affirming family values. There are two areas that I think set me apart and this ties into why I am running. If you put us all on a libertarian to authoritarian axis, I’m the most libertarian of the GOP group. Liberty is my prime directive and it informs my approach to every issue including drug policy. So that’s one of two areas I think sets me apart the most — wanting to end the drug war because I think it does more harm than good. The other issue and its coupled with the first, and that’s my dedication to the concept of representation. I’m informed by my work with the state legislature on legalizing medical cannabis. Our representatives aren’t representing. Recent polls indicate that as many as 80 percent of North Carolinians would support the legalization of medical cannabis. (2017 Elon poll). That was 80% overall, including a majority of Republicans and Democrats and seniors to millennials. There’s this attitude I’ve encountered with our General Assembly that they don’t even want to hear it. They are policymakers and they know better; they don’t even want to hear from me. I consider myself an expert, this is what I do, and they don’t even want to listen. My view is that you listen to your constituents, including the experts, and you learn from it and then you represent. What is your medical background and what qualifies you as an expert in the area of medicinal marijuana? I graduated from Eastern Virginia Medical School in 1995. My specialty was family medicine, but I’ve always had an interest in natural medicine and alternative medicine. I’ve practiced in a wide variety of settings; urgent care, family medicine, and in 2009 I moved to Hawaii with my family. The urgent care facility where I worked had a minimum number of hours for me, so my wife and I opened a mobile clinic and medical cannabis was one of the services we offered as it was legal there. I’d never thought about doing that before, but because it was something in demand it became our most popular service. I learned about it, became more informed and ended up being certified by the American Academy of Cannabinoid Medicine. I’m currently on the board of that body. In 2011 we decided to move to North Carolina and this state doesn’t have that option, so we continue to commute between North Carolina and Hawaii, where we spend about a third of our time. I am also the medical director of the North Carolina Cannabis Patients Network and have testified at the state Capitol on the subject. You feature a cannabis leaf on your campaign materials. Why? To me it represents compassion, there’s a family value. It represents prosperity, liberty and I believe it represents the future. I’m standing up on the side of compassion, which I think few Republicans in North Carolina elective office have the courage to acknowledge that being a Republican, a Christian and an advocate for medical cannabis aren’t mutually exclusive. That’s just one issue. I care about our country, I want a chance to defend the Constitution, hold our government to that defense, make America our priority, and to fight for a free market and affirm family values. The drug war is only the one issue that perhaps makes me stand out. Have you been active in Republican Party activities or organizations in the past? No. I would consider myself a Ron Paul Republican and it was his beliefs and work that brought me into the Republican Party. Oftentimes candidates, especially those running on the Libertarian Party ticket, make marijuana legalization the centerpiece of their candidacies and this often pigeonhole’s them as a single-issue advocate, overshadowing their broader views. Let’s explore your position on other issues, starting with why you think you’d make a good Republican candidate in the general election. First of all, my approach is that I would aspire to be a respected member of the Liberty Caucus as was Walter Jones and I would hold myself and our federal government to its rule book — the Constitution. That would be my mandate. And I would approach every issue with liberty in mind. However, I do think it’s important to place my constituents above my own ideology, my own party and any other special interests and I would approach every issue in what their issues and needs are. Let’s explore some issues specific to the region and the national political scene. We’ll start with offshore drilling. That’s an interesting one. As a Currituck resident, I don’t want offshore drilling, seismic testing or fracking in my backyard and I’d extend that courtesy down the coast. I think it would endanger local communities and wildlife. It would threaten local industries like fishing, crabbing, and tourism. What about wind farms, which some Republican state legislators are trying to ban in North Carolina? I think our district holds ample potential in the form of wind and tidal energy, not to mention farmland in the form of cultivating hemp. That’s another area, I think, with the passage of the Farm Bill to pursue as hemp represents a very profitable market. There’s been a lot of criticism from members of both parties on what is referred to as federal overreach and interference in local concerns ranging from the Oregon Inlet bridge to ORV driving along the Cape Hatteras Seashore as well as environmental issues that have affected development and permitting. Commercial fishermen also feel federal regulation is destroying their livelihood. What are your thoughts? I am definitely in favor of allowing the state to manage its own affairs as much as possible. There’s been way too much federal overreach in virtually all aspects of our lives. Differing views of social issues separate the two major parties. Can you talk about some of those? I would say this, and it also has to do with federal overreach. Individual states should have their own laws on abortion and I would support removing federal funding from that area because I don’t think taxpayers should have to subsidize it. I feel the same on other issues. The federal government really needs to stay out of many issues, including education and marriage. The government should stay out of the business of defining what is and isn’t marriage. Since this is a heavily military district we asked Richard Bew this same question. Has Congress abdicated too much authority to the executive branch in military and foreign policy? I’ll answer the question this way. I will support our military in four areas: First, I believe we should not send our service members into any war without just cause or reasonable justification to declare war without an Act of Congress; second, when our service members come back we really need to give them the best quality health care we can. Baiko’s campaign poster, featuring a cannabis leaf , is an unusual sight in GOP primary races. Third, and this has to do with my background in what I do, I think the VA should make medical cannabis available to our service members who suffer from chronic pain and PTSD and finally, our Congress should return the favor to our service members who took an oath to defend the Constitution by defending the Constitution itself. I think unregulated borders do little to encourage people to adopt our customs and values. That can place our national identity at risk, so I would favor fortifying our borders with both barriers and monitoring technology and we should definitely have a foreign policy that regulates the rate of immigration. I think you also have to minimize the incentives motivating illegal immigration, including easy access to many of the services they currently enjoy. I think we also need to address some of our foreign policies that might be driving these immigration patterns. That said, while I am a fan of fortifying the border, I am not a fan of the use of executive orders to override Congress. I think that sets a bad precedent no matter what party is doing it. What about a path to citizenship for those undocumented immigrants already here? If those here are willing to step up, we should have a path to citizenship to reward people who are filling worker needs in our communities. Criminalizing drug use not only incentivizes criminal drug violence south and north of the border, it also incentivizes state-sanctioned violence. Taxes, the economy, the annual deficit, and the national debt? Our prosperity is better served by balancing our budget than inflating our currency into oblivion. On related issues with prosperity, I love the natural beauty of North Carolina and I want to preserve it and I think science can offer insights on how to do that, but I think climate alarmism is rather unscientific, so I would oppose attempts to regulate human behavior where there is no promise those regulations will actually benefit the prosperity of humanity in any way. I think our prosperity is better served by balancing our budget. How we do that? I’d start with monetary policy. Take a look at the Federal Reserve and cut our debt owed to the Fed. I would look at ways to cut spending. Looking at our foreign aid, there are probably some countries less deserving of that aid than our folks here at home. Then I would then turn to our own federal bureaucracies, especially their policies and agencies that aren’t specifically mandated in the Constitution, and ask if they aren’t better approached at the state level. Generally, it seems to me that federal regulations are at an overreach with questionable value and in most cases should be more of a state issue. We should hold industries and corporations accountable for harmful practices but leave such matters to the states as much as possible. Privacy issues are a hot button now. Any comments in that area? I believe privacy and property rights are essential to freedom and I am in support with Sens. Rand Paul, Rep. Justin Amash, who along with two Democrats have introduced a bill calling for the ending of NSA spying of American citizens. Sum up your priorities for the district. My first priority is reining in our federal government, not only in terms of regulatory policy, but also its approach to policy-making itself. The best way to empower ourselves as individuals and as a state is to hold our federal government to its constitutional mandate. I will apply this principle across the board, from deregulation and lowering taxes to keeping it out of the business of healthcare and education to ending the drug war. The focus on cannabis, hemp, and alternative medicine are all I needed to make an informed decision to not vote for this expert. The unsubstantiated statistics (e.g.recent polls) those on the pro-cannabis (pot) side of things throw around. Not one chance he will be elected for any office. 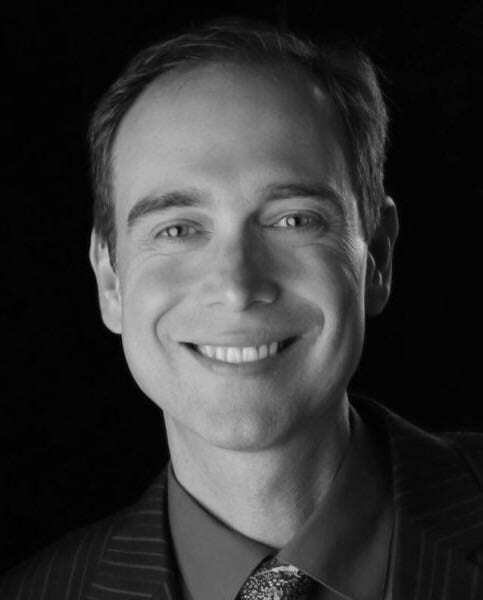 This doctor is on the right track and his position is to be admired. Cannabis is working in many peoples lives. Many veterans, and others with PTSD, are experiencing tremendous healing from cannabis. Cannabis needs to be legal in all 50 states. Not only would I vote for him, I would like to become his patient. The Sentara doctors in Eliz City are sub-standard and you have to go to Virginia Beach anyway for decent medical help.